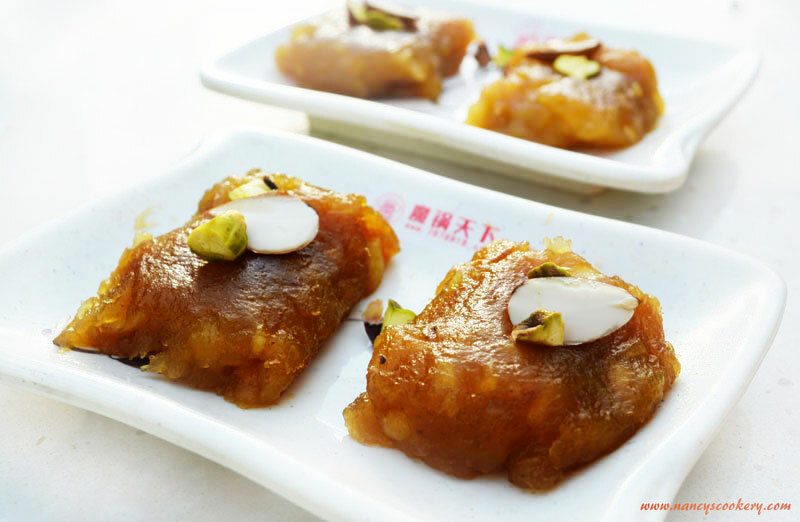 Apple Halwa Recipe - Apple halwa is the delicious dessert made with sweet apples with less sugar to add sweetness for apple Halwa. 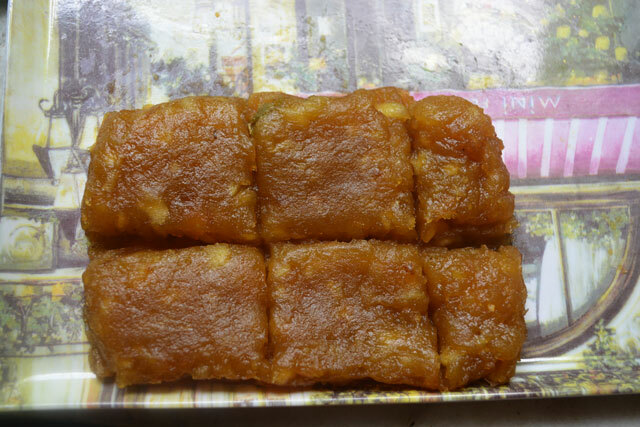 Unlike other apple delicacies apple halwa differs in it's delicious taste. 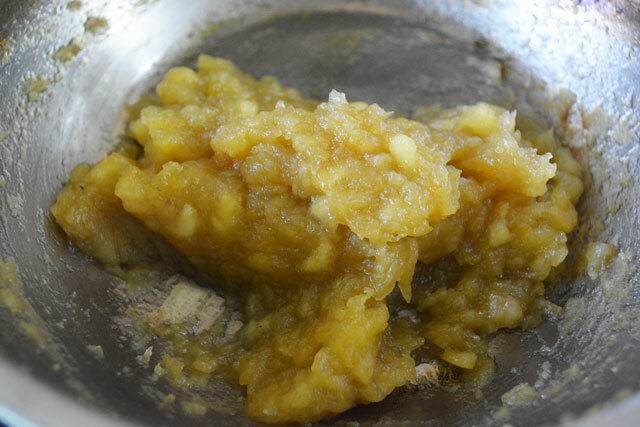 You can also add flavors/essence of your taste to apple halwa like vanilla essence/cinnamon powder. The recipe is very easy and simple and certainly not a painful one. So you can try it in your kitchens this healthy sweet. 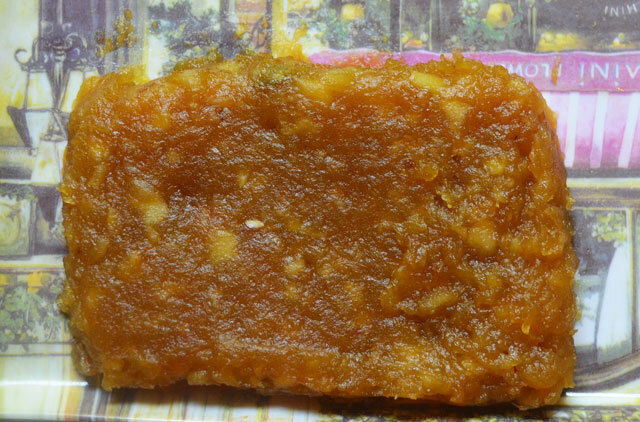 Apple Halwa is a healthy and delicious dish which your kids and loved ones/friends will like. I tried this and it became very delicious than I thought and came out like the wheat halwa but without excess ghee /sugar. Everyone in home liked it very much and my kid is not an exception. An apple a day keeps the doctor away. So you must try this at least for your little ones and I am sure they will love it. 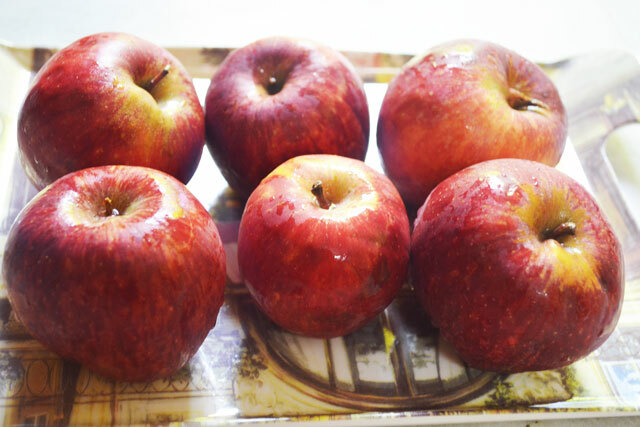 Buy sweet red apples and do this recipe. If the apples are not sweet you have to add more sugar. So as I said the apples are naturally served in apple halwa. Eating Apples reduce the risk of Alzheimer's disease, Parkinson's disease, tooth decay, gallstones, diabetes, cholesterol and more.. Apples help to control your weight and reduces the risk of cancer. Apples have more health benefits. 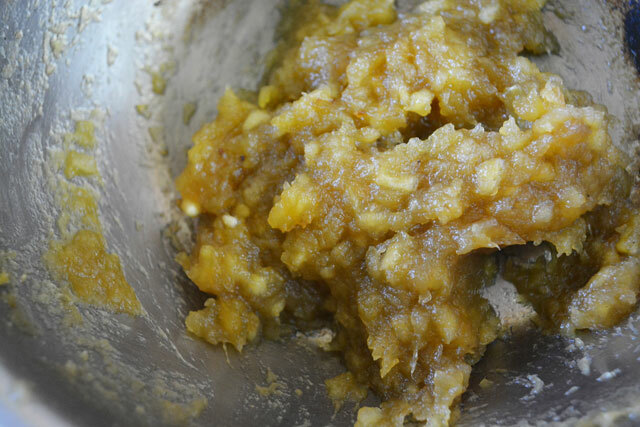 This apple halwa recipe enables to eat more than a apple at a time and also satisfies your taste buds. 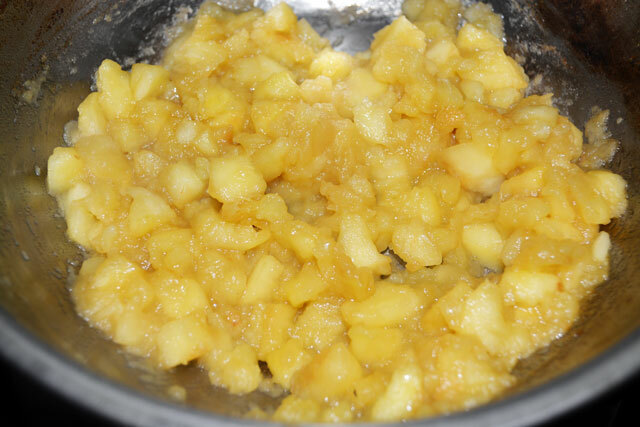 Now hope you will try this apple halwa for sure..
Cook healthy foods and stay healthy... Happy Cooking. Peel, core and dice apples. 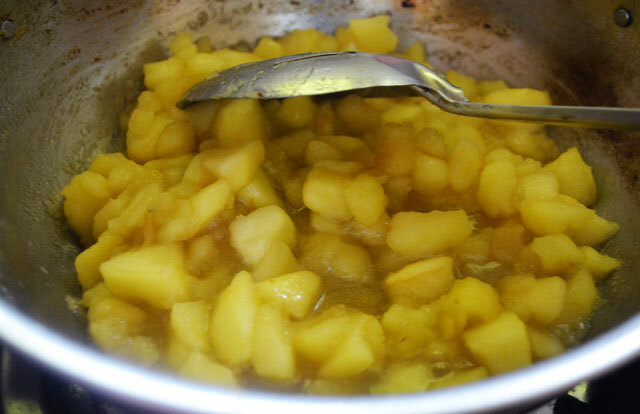 Heat oil/ghee in heavy bottomed vessel/non-stick pan and add diced apples. Saute for 5 to 8 minutes in low flame(keep stirring so that apples won't be burnt) and then add water when the apples becomes soft. Now mash the apples with ladle as you stir them. When the apples starts leaving the sides, add sugar. Stir them and then add cardamom powder. Keep stirring by raising the heat and don't let the apples get burnt. Then stop stirring and remove from heat and keep stirring for 2 minutes after you have taken down. Now transfer to tray and let it cool down. Once it is cooled down, cut into shapes and serve garnished with sliced almonds and pistachios. Peel core and dice the apples. 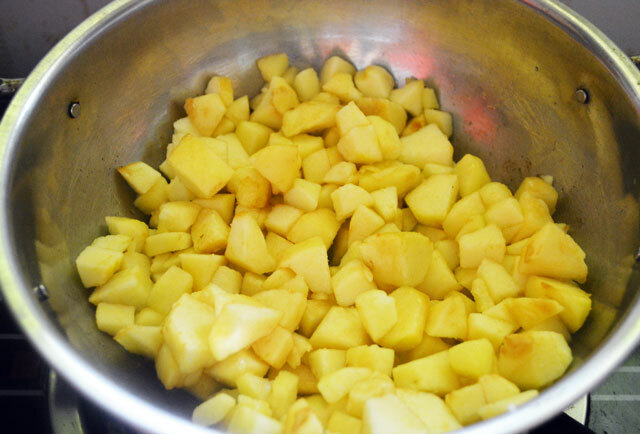 Heat ghee in a heavy bottomed/non-stick pan and add diced apples. Saute for 5 to 8 minutes in low flame(keep stirring so that apples won't be burnt) and then add water when the apples becomes soft. 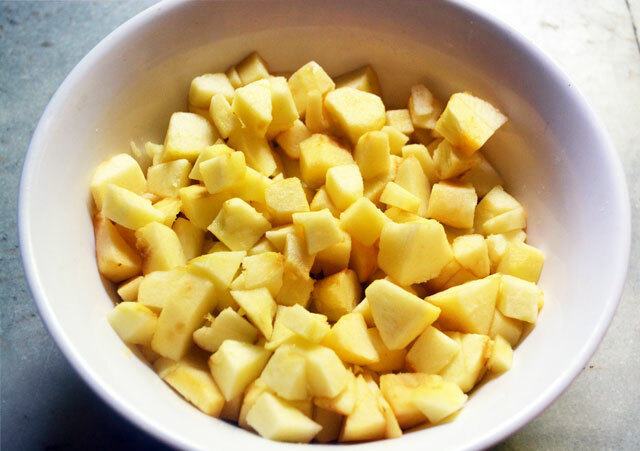 Now try to mash the apples with ladle as you stir them before adding sugar and you can leave some apple chunks and there will be few chunks left. The apples will absorb all the water as you see in the picture. If you think the apples are getting burnt and the need to add water and little more water and stir. 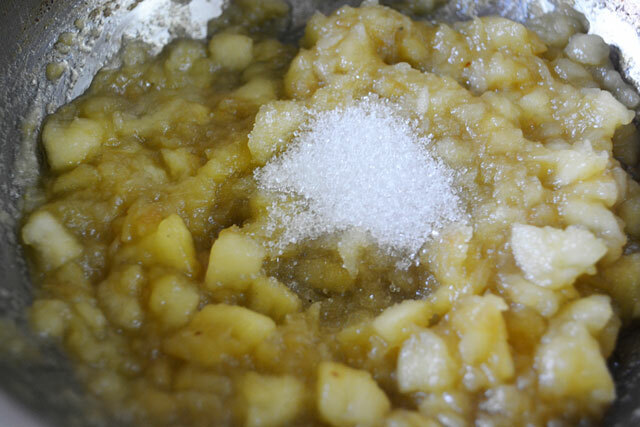 When the apples starts leaving the sides, add sugar and mash the apples as you stir. As you see in the picture the apples become thick after adding sugar. Stir them until the apples become thick and then add cardamom powder. Keep stirring by raising the heat and don't let the apples get burnt. Now at a stage the apples will become a thick transparent mass and it will be tight as you stir the apples with the ladle(It will be hard for you to stir the apples with the ladle). Then stop stirring and remove from heat and keep stirring for 2 minutes after you have taken down. Now transfer the apple halwa to a tray and let it cool down. Once it is cooled down, cut into shapes and serve Apple Halwa garnished with sliced almonds and pistachios. You can add cahews and raisins too while cooking the halwa. Ghee can be replaced with oil to your taste. 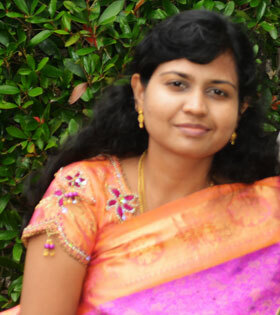 You can add more oil/ghee according to your diet. 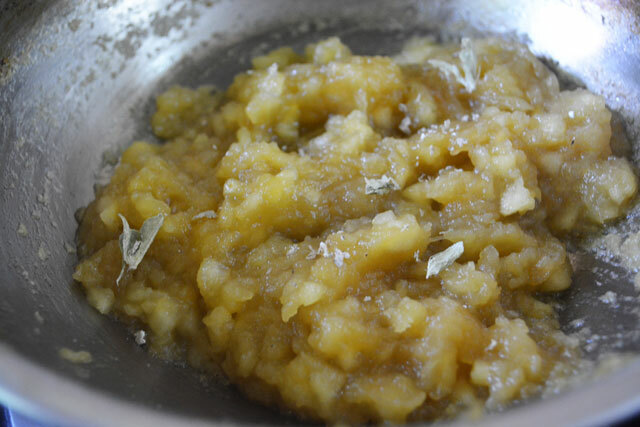 But the apple halwa stays a healthy dish until you add less sugar with less ghee.